As part of The Drive For Change project celebrating 100 years of women’s suffrage, we have been exploring the story of the Ladies’ Automobile Club. 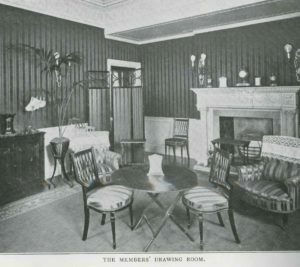 The Club’s aims were both social and technical, so as well as providing premises to meet in, technical information was to be provided to all members as well as the organisation of tours and competitions, and instruction in driving “to members and servants of members”.2 The annual subscription fee was set at two guineas. In 1904, The Duchess of Sutherland became the first elected president of the Club. Rooms for the Club were initially located within the Hans Crescent Hotel in Piccadilly but after six months they moved into more spacious accommodation at Claridge’s Hotel in Mayfair. Members could also leave their cars at the nearby Harrods Garage for a fee of 10 shillings a week. Other lectures included ‘Hints on Motor-car Driving’ by Lord Montagu in 1907 and a 1913 talk by Filson Young on ‘Motors and Morals’, described as “a gloomy affair” in The Autocar magazine. Further events were organised, often involving a massed drive out to one of the members’ estate or to a country club such as Hurlingham. Motoring gymkhanas were also enjoyed with events such as a ‘crawling race’ where competitors had to drive as slowly as possible without the use of the clutch or brake and without stalling the engine. Another exciting event at the gymkhana was a ‘bomb race’ where competitors had a ‘bomb’ thrown in front of the car at random stages of the race, which had to be retrieved by the driver, driven and handed over to a ‘policeman’ at the end of the course, before then finishing the rest of the quarter mile race. The 1906 Ranelagh Gymkhana even included a ‘police-trap race’ where the competitors had to complete a circuit of the course at a speed predetermined by the organisers. The person closest to the speed overall was the winner, which as speedometers had only just started to be developed for cars, made this quite a challenge. As the funds of the Ladies Automobile Club accumulated, they began to look towards more philanthropic activities. ‘Editorial Jottings’ in The Car magazine in 19126 praises the Club for its decision to endow a hospital bed at the Royal Free Hospital in London specifically for those injured in accidents caused by motor vehicles. The editor urges the AA and the RAC to follow suit. 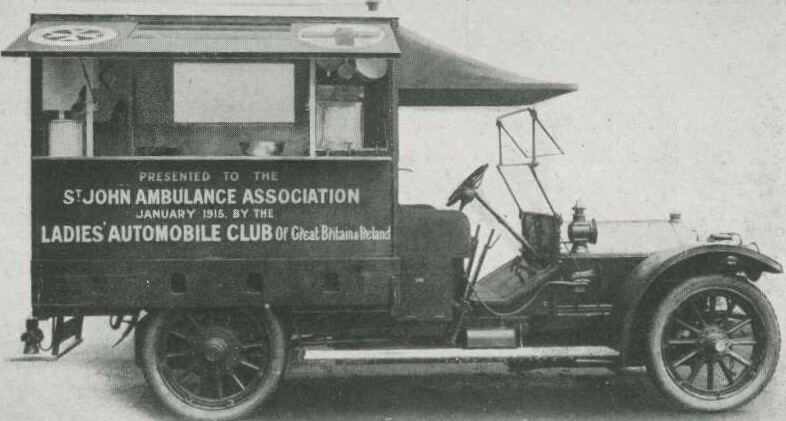 During the First World War, in January 1915, the Club funded a motor field kitchen with specially designed coachwork on a 40hp Crossley body. After the war, and into the 1920s, women were admitted to more motor clubs and the Ladies Automobile Club was eventually absorbed into the Royal Automobile Club. Whilst the Club certainly reflected the elite of society, motoring was after all a rich person’s hobby in its early days, it was a significant move towards recognising and organising women as motorists in their own right for the first time. The Autocar, June 11th, 1904, p.804. The Car, No. 50, May 6, 1903, p.352. 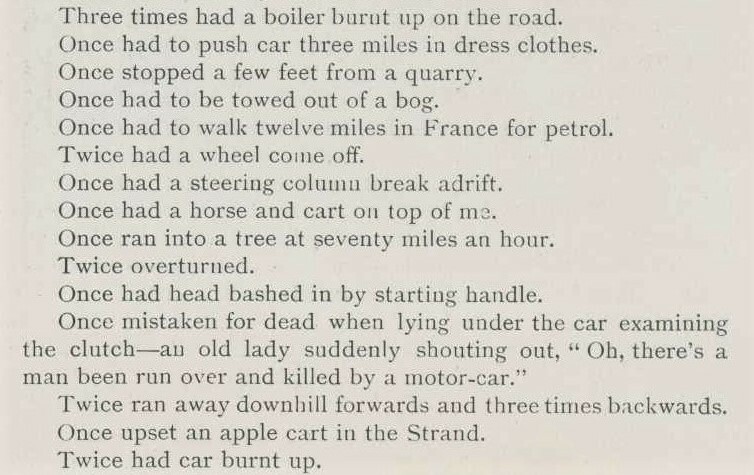 The Autocar, February 18th, 1905, p. 264. The Car, No. 180, November 1, 1905, p.347. The Autocar, June 18th, 1904, p.835. The Car, No. 545, October 30, 1912, p.361. 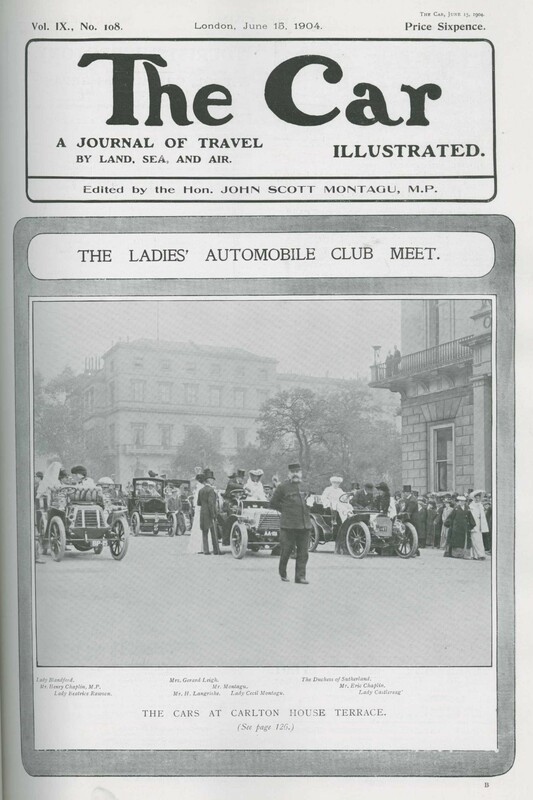 In my recent research (some at Beaulieu) with regard to my grandmother being a motorist in 1903 I had read that the Ladies Automobile Club had been jointly set up with Lady Montague and Annesley Kinealy (assistant editor of Motoring Illustrated). However, do you happen to have a record of the other 27 first untitled members of the club in 1903? Yes we do have a record of these members. If you would like to know more than we can email you directly. A fascinating post and I didn’t know about the Ladies Automobile Club previously. I run a motoring club for women today, helping members enjoy better services in an industry that isn’t renowned for getting things right for women. Nearly 100 years later you’d have thought that a motoring club reserved for women wouldn’t be needed but we’re thriving and supporting women drivers who still find today’s masculine-skewed automotive industry intimidating and not as female friendly as it should be.